Quick LAMP tests done in the field can identify whether the blackleg pathogen L. maculans is present on these diseased stems. Key Result: Researchers were able to develop and validate nine real-time qPCR assays targeting eight different phytoplasma (aster yellows) species along with P. brassicae (clubroot) and L. maculans (blackleg). This project provides tools for producers and regulators to obtain timely information on plant disease prevalence and spread, which will aid efforts to contain and control these diseases. Dumonceaux led a team of researchers in this project which exploited the unique features of the loop-mediated isothermal DNA amplification (LAMP) method originally developed for monitoring disease outbreaks in human populations (Notomi et al. 2000). DNA extraction for application of the newly developed diagnostic tools. Certain particularly problematic diseases are in immediate need of diagnostic improvements. 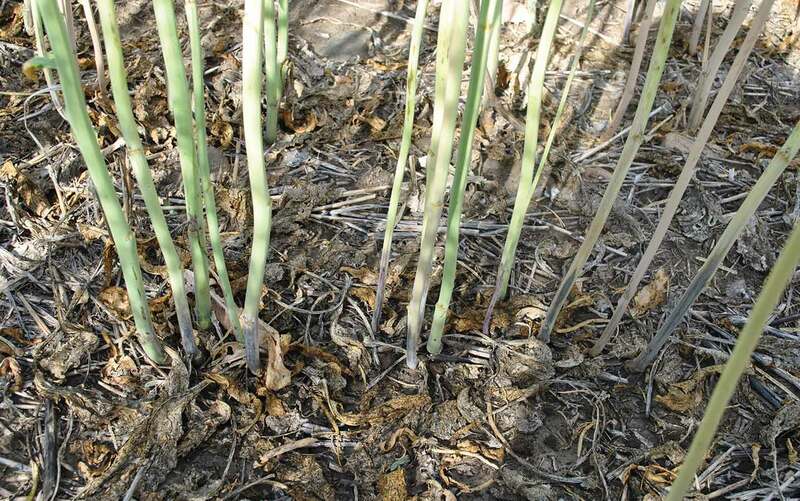 This project focused on clubroot, caused by the soil-borne pathogen Plasmodiophora brassicae, aster yellows, caused by the parasitic bacterial pathogen Ca. Phytoplasma spp. and spread by infected leafhopper insects, and blackleg, caused by Leptosphaeria maculans. Dumonceaux and his team employed genomic and molecular barcode sequence data that they had generated in other projects to develop a panel of LAMP assays to specifically detect P. brassicae and L. maculans by focusing on one readily available LAMP target gene, chaperonin-60 (cpn60, groEL, hsp60). They also developed a method for accessing the cpn60 sequence from a diverse array of phytoplasma, and showed that two host plants, Brassica napus and Camelina sativa, display different phytoplasma infection patterns. A total of nine real-time qPCR assays targeting these diseases have been developed and validated. Several assays have also been adapted to the droplet digital PCR format, which facilitates the quantification of low copy numbers of target DNA samples (which is often the case when testing for pathogens such as clubroot in soil). 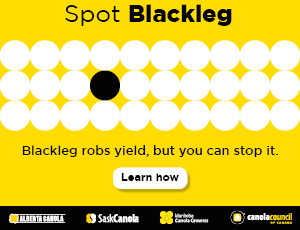 Canadian isolate of Verticillum stripe, discovered in a Manitoba canola field in 2014. Researchers quickly isolated the cpn60 gene from this potentially devastating fungus and successfully developed a LAMP assay targeting this organism as well. This highlights the capability this project has provided to respond rapidly to producer needs and to provide protection from the emergence of novel or previously undetected pathogens in their crops. Dumonceaux describes the method developed for generating cpn60 UT sequences for Ca. Phytoplasma spp. in an article published in PLoS ONE journal*. 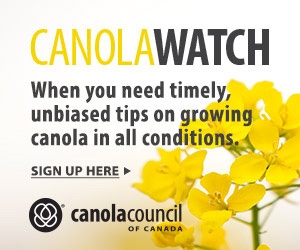 A progress update on this study included in the 2014 special science edition of Canola Digest also attracted industry attention. Researchers are now working with both Winnipeg-based Pest Surveillance Initiative and the City of Saskatoon on the development of mobile molecular diagnostics targeting other pathogens of interest.